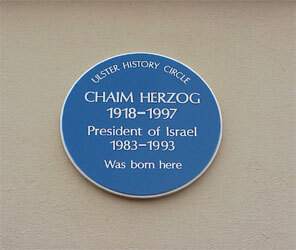 Herzog was born in 1918 in Belfast, where his father, Dr Isaac Herzog, was rabbi. While Chaim was still a child, Isaac was appointed Chief Rabbi of Ireland and the family moved to Dublin. Chaim is remembered there as a former bantam-weight boxing champion! The family emigrated to Palestine (then under British mandate) in 1935 where Isaac was elected Chief Rabbi in 1936. 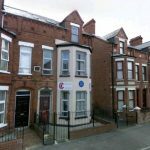 Chaim studied law and was called to the English bar in 1942; he also served in the British army during the second world war. In 1946 he returned to Palestine and was active in the Haganah Jewish underground. He held a number of positions in the newly created State of Israel in 1948, including Ambassador to the United Nations and culminating in that of President (1983-1993). He was also a general in the Israeli army, and as Head of Intelligence is generally recognised as one of the chief architects of Israel’s victory in the Six Day War (1967). He visited both Belfast and Dublin before his death in 1997. NOTE: This plaque was removed from the building on 12 August 2014 following a number of attacks and attempts to remove it by force. 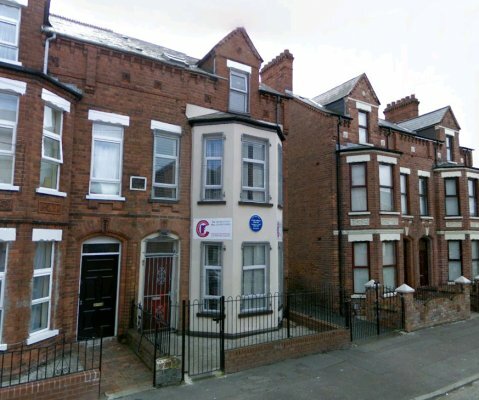 It was removed at the request of the Cliftonville Community Regeneration Forum, who occupy the building, as they were concerned about the attacks. 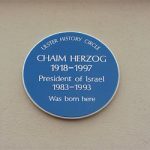 The Circle depends on the consent of property owners, tenants and occupiers for permission to put up the plaques, and respect their wishes if a plaque is requested to be removed. The Plaque is now in secure storage.